2015 General Admission Tickets + Full Restaurant Roster! Happy New Year Bacon Nation! 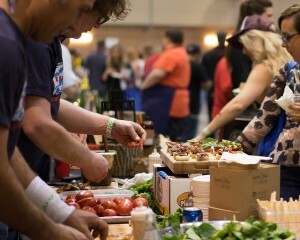 Baconfest Chicago (4/17 & 4/18) is T-minus 12 weeks away and we have two tasty pieces of news to share with you. Mark your calendars! 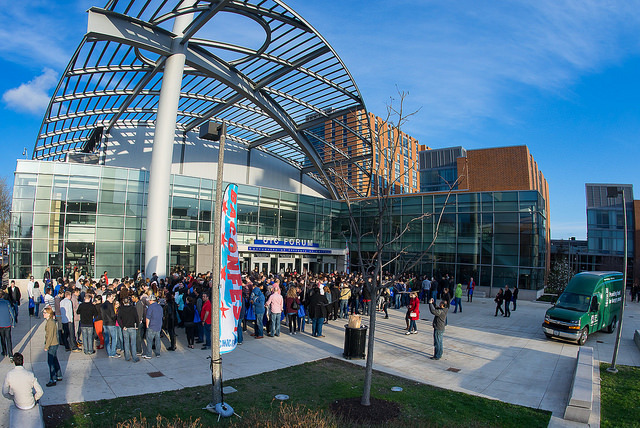 General Admission Tickets ($100 + fees) go on sale at noon on Monday, February 16th. As usual, tickets will be available through our Eventbrite ticketing site. (Can’t wait till then to buy tickets? Cooking Channel VIP Hour tickets are available now at CHICAGO TICKETS.) 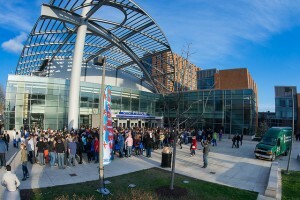 Ticket-holders will be able to select from three sessions that span two days, April 17-18. Attendees get all inclusive access to all the food offered during the shift selected, drink tickets, and a reusable Baconfest tote bag. You can win tickets, too! Fan contests include the Nueske’s Amateur Bacon Cook-off, Bacon Cocktail Challenge and bacon poem contest to name a few. Follow us on Facebook/Twitter and sign up on our mailing list to be kept in the loop! Check out the largest and most diverse Baconfest Chicago Restaurant Roster of all time! Baconfest Chicago would not be possible without the generous support of these chefs and restaurants. Each and every one of them donates time, talent and resources inspired by a love of bacon and a desire to share said love with you, Bacon Nation. Perhaps most importantly, we all, chefs, sponsors and guests alike, gather together at Baconfest in support of our long-standing charity partner, The Greater Chicago Food Depository. Drumroll please! Here is the Exhibition Roster for Baconfest Chicago 2015! The restaurants will be exhibiting over 3 sessions: Friday Dinner (4/17) and Saturday Lunch and Dinner (4/18). We are in the process of finalizing each session’s line up. Stay tuned for those details early next month. 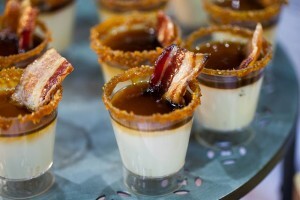 But rest assured, whichever day and time you attend, you will be assaulted by bacony awesomeness. We would be remiss if we did not give a BIG shout-out to our Bacon Sponsor, Nueske’s Applewood Smoked Meats. For the 7th straight year, they are generously offering our exhibitors their bacon supply. This is an insanely generous gift, especially as the scope of the event has grown. Last year’s bacon allowance amounted to almost 8,000 pounds of delicious Wisconsinian cured meat. Viva la Nueske’s! Viva all of our Sponsors! If you are a restaurateur wondering “where’s my invite?,” feel free to reach out to [email protected] and we’ll get you on the wait-list. (At the very least we’ll get you in the database for next year). If you are interested in being a Sponsor and would like to exhibit at Baconfest 2015, please email [email protected] for a sponsor packet. Again, Happy New Year Bacon Nation! ←Which Chefs, What Shifts, When! ?